Are you ready for an Incredible Summer? If so, Walt Disney World is the place to be! There will be a number of new activities (and of course, a new land opening) that will help to make this a summer like no other. Walt Disney World is going to be introducing new entertainment offerings, attractions, and more. Today, we learned what dates these events will be kicking off! 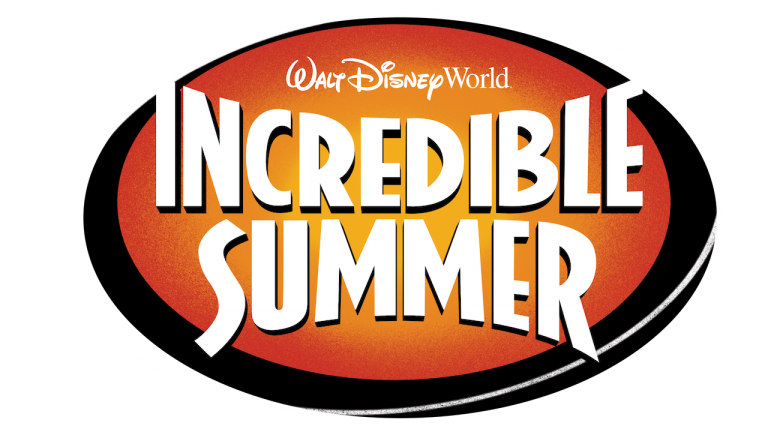 At the Magic Kingdom, The Incredibles are taking over Tomorrowland from May 25 through September 3, as part of an Incredible Tomorrowland Expo. Guests will be able to party and dance with Mr. Incredible, Elastigirl, and Frozone from The Incredibles films, as well as for the first time ever, Edna Mode at the “SUPER” dance party on the Rocket Tower Stage. In addition, Tomorrowland will also be decked out with Incredibles décor and sounds from the film. Dancing will also be key at Epcot when The Guardians of the Galaxy take the stage at the America Gardens Theatre. StarLord, and Gamora will take Guests on a musical journey joining an alien band who will play songs featured from Awesome Mix Tapes 1 and 2. Performances will take place five times daily, from June 9 through August 19. Two new experiences will debut in time for Disney’s Animal Kingdom’s 20th anniversary. First, guests can discover new bird species from around the world at the new show “UP! A Great Bird Adventure,” which will star Russell and Dug. The park will also launch a “dino-tastic” celebration called Donald’s Dino-Bash! Here, Donald Duck takes over Dinoland, U.S.A. to celebrate his recent discovery that ducks are descendants of dinosaurs. In addition to seeing Donald, Scrooge McDuck and Launchpad McQuack, as well as other feathered friends will be on hand to meet guests. The land will be decorated accordingly and there will be a nightly dance party for Guests to experience. Both of these events begin on April 22. Of course as many of you know, the big deal this summer is the opening of Toy Story Land. It had been announced that this new land will debut on June 30 and it will feature Slinky Dog Dash, a family-friendly coaster and Alien Swirling Saucers, where Guests will experience the aliens circling about in their flying saucers pulling along rocket ships full of guests. Toy Story Mania! will also officially become a part of this new land and Woody’s Lunch Box will be a new quick-service kiosk serving tasty meals and old-fashioned soda floats. Also recently announced was the new H2O Glow Nights. Here Toy Story characters will throw glow parties that are inspired by the Pixar short, “Partysaurus Rex”. The hard-ticket event kicks off June 21 and runs though August 11. The event will occur only on Thursdays and Saturdays from 8:00 p.m. until 11:00 p.m. Guests will be invited to dance on the beach, play party games, and meet up with Buzz, Woody and Jessie, plus, all the water park attractions will be open for Guests.